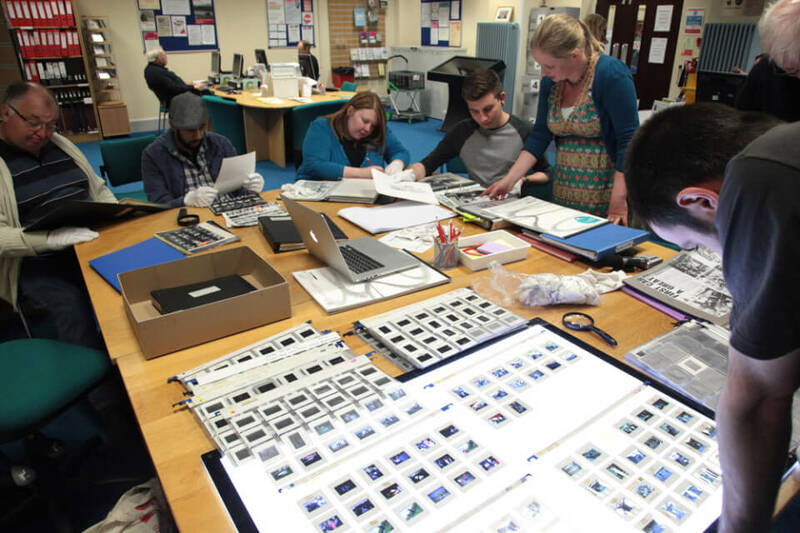 The Jubilee Arts Archive 1974-94 contains a substantial collection of negatives and slides – over 20,000 – conserved by Sandwell Community History and Archives Service, along with standard 8mm film, VHS video and miscellaneous print materials. 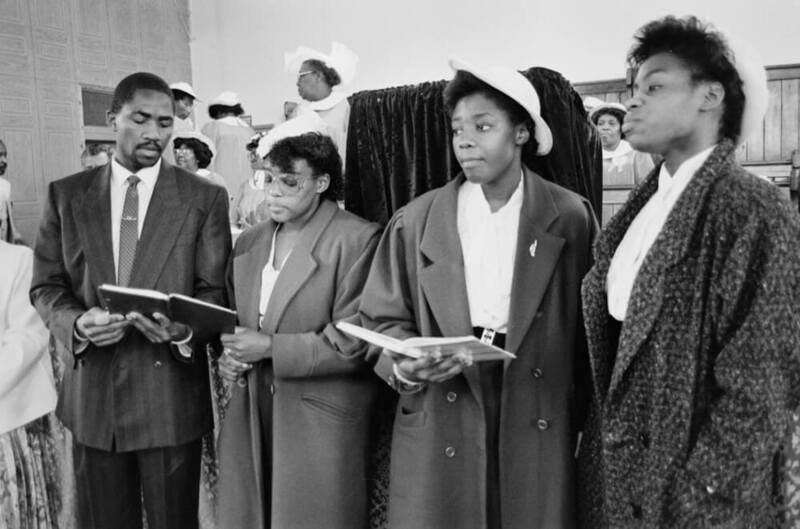 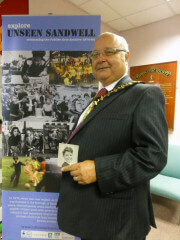 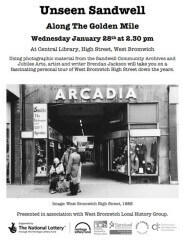 The photographs were taken by Jubilee Theatre and Community Arts Company, primarily as documentation of their projects in Sandwell and the Black Country, and sometimes further afield. 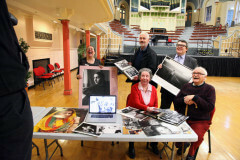 They were made by both professional and amateur photographers, as well as communities. 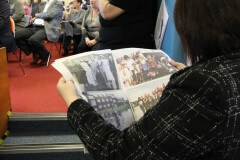 A sample of these can be viewed on this site, along with written texts, film, oral history and other resources. 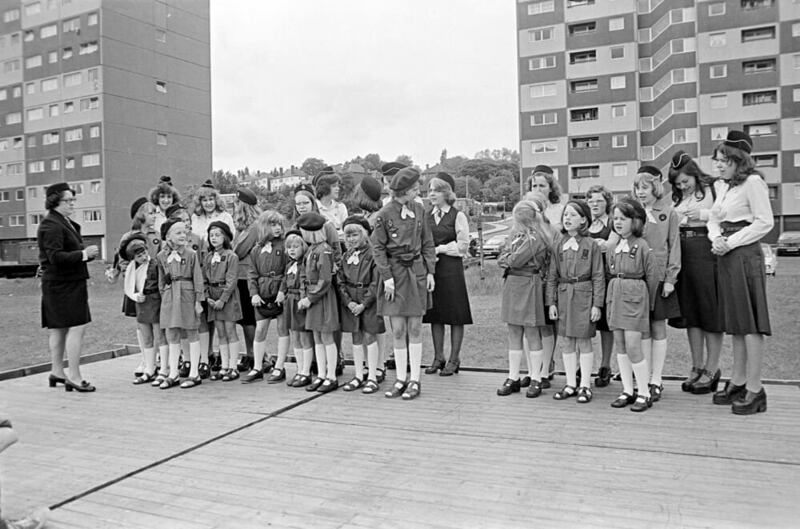 Here in the archive we find a complex portrait that reflects not just the specific locality but British society since the early 1970’s. 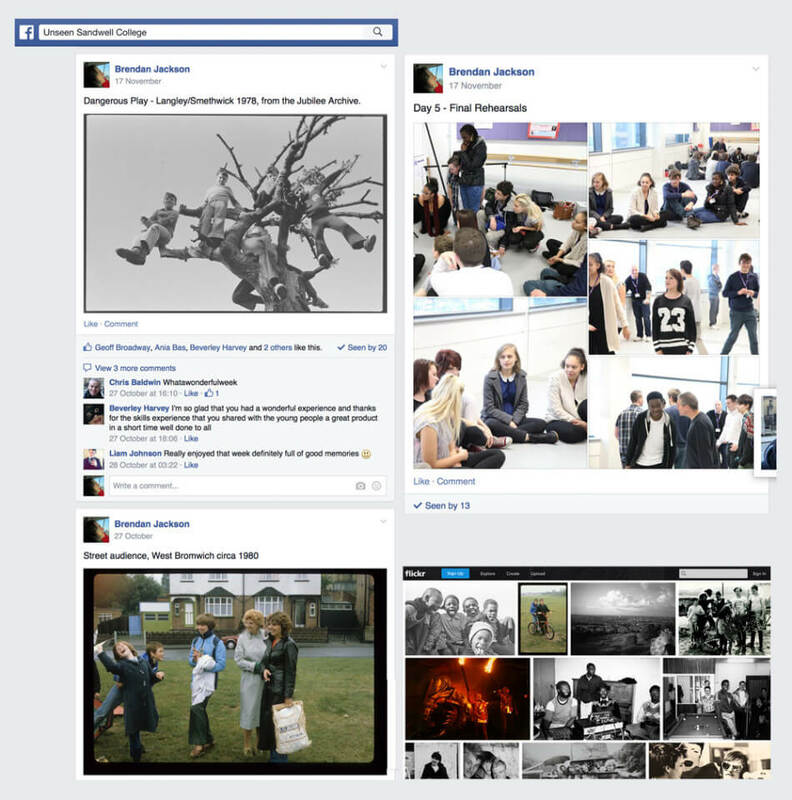 It also records social movements, in terms of artists working with communities. 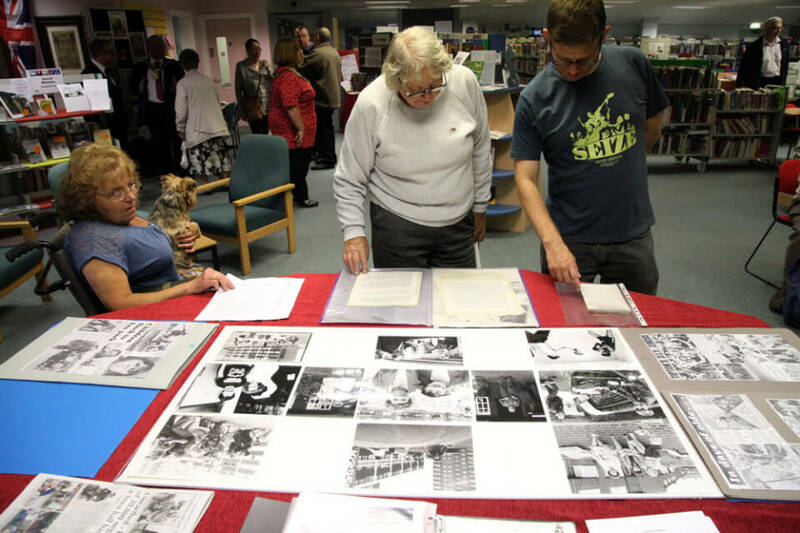 Today, these images also provide a remarkable record of local people and places, providing a valuable historical document of political, cultural and social change. 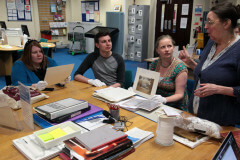 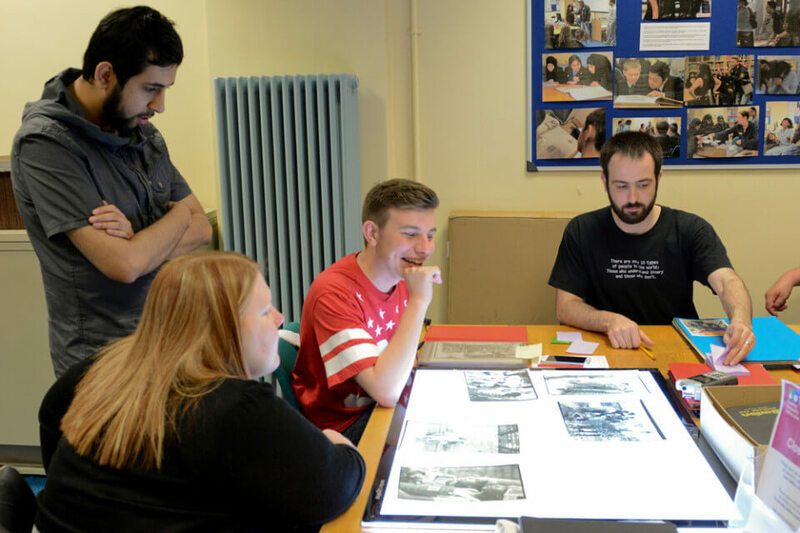 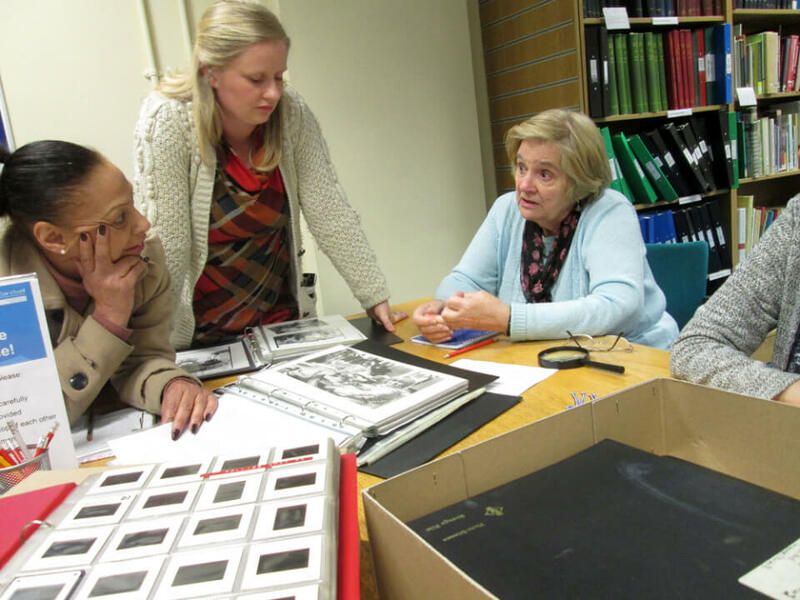 Artists from Laundry have been working with Sandwell Heritage and Archives Service to preserve and share this important archive. 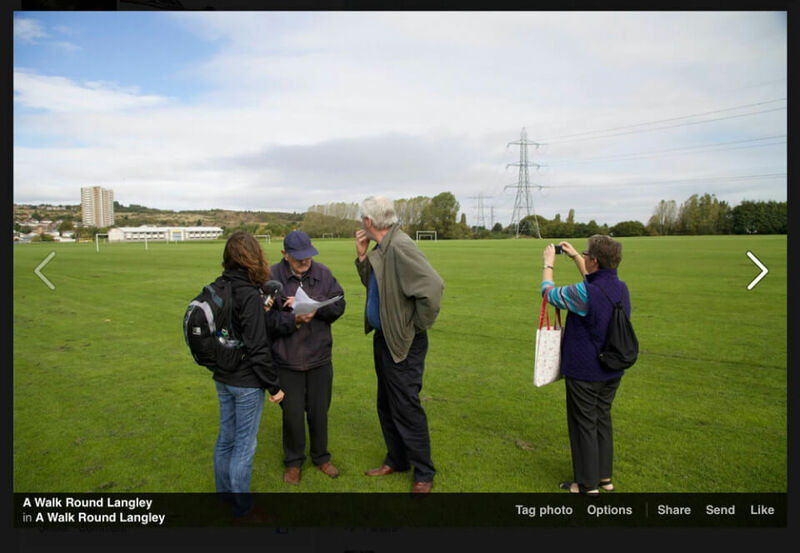 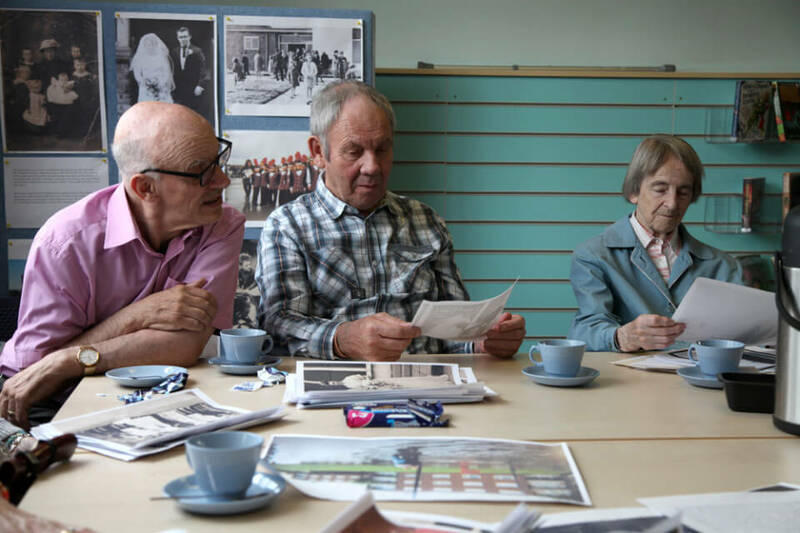 In the spirit of the original arts group we have been returning to the original locations in the borough and working with groups to explore and interpret the material, collecting oral histories, personal snapshots and memorabilia which has informed our curation of this site. 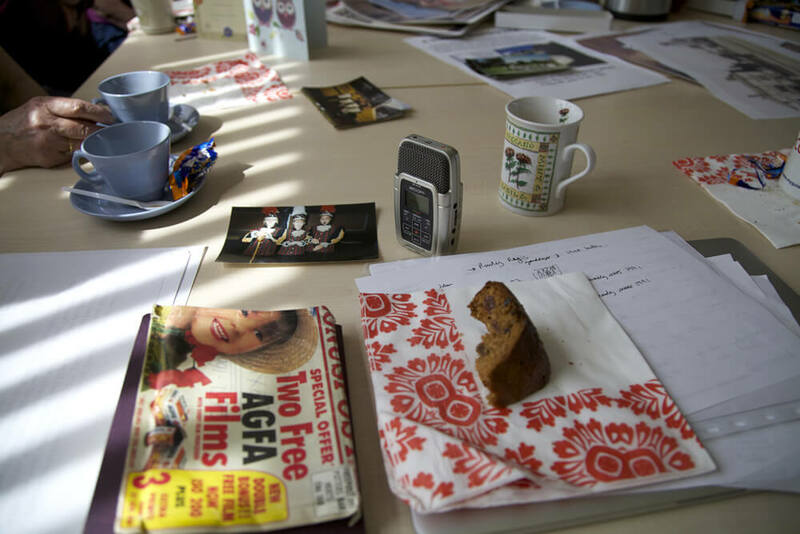 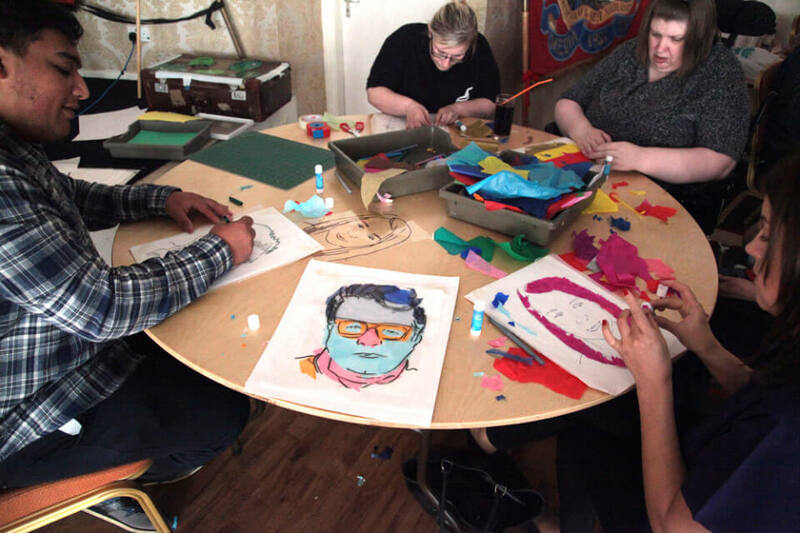 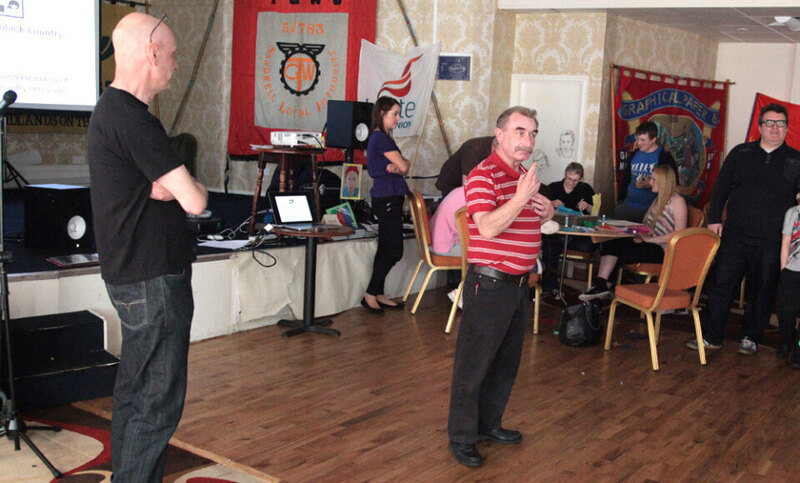 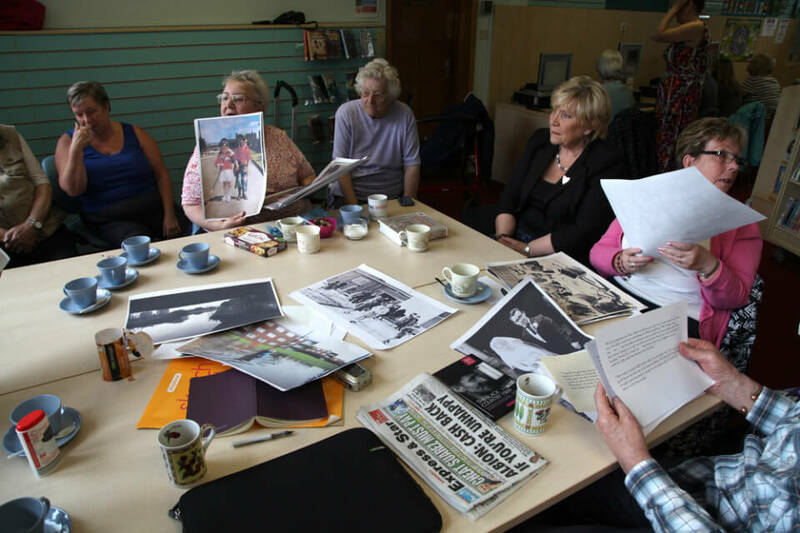 We worked with groups in Tipton, Lion Farm, Langley, Smethwick and West Bromwich, offering curatorial and discussion workshops to explore the substantial materials. 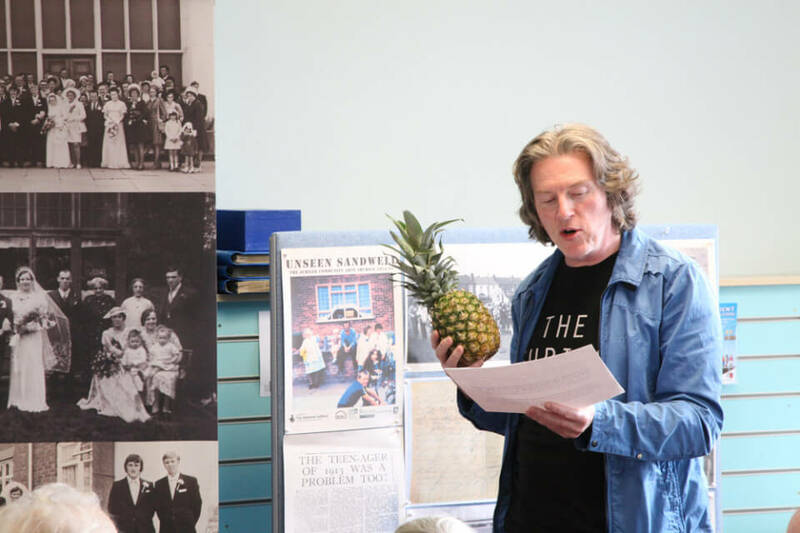 We created ten public events and bespoke related exhibitions, as well as galvanising participants to develop their own responses to the source material. 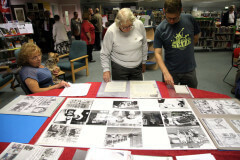 From the outset, community input was integral to our process. 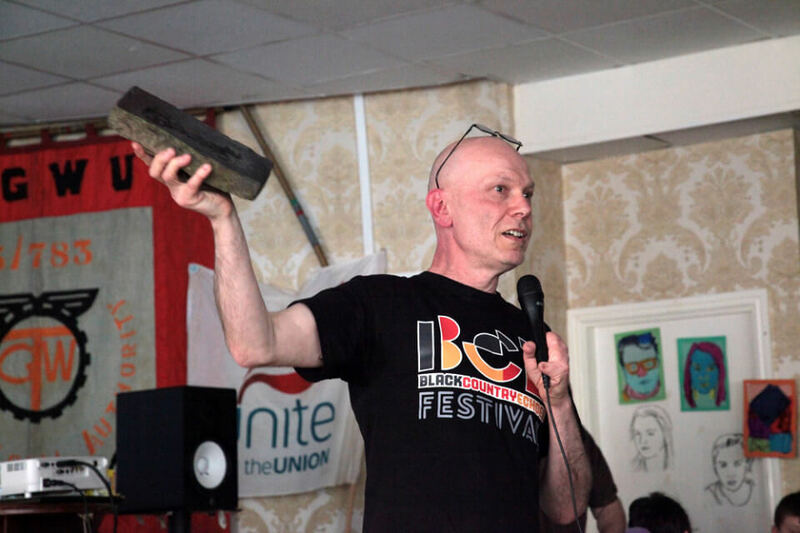 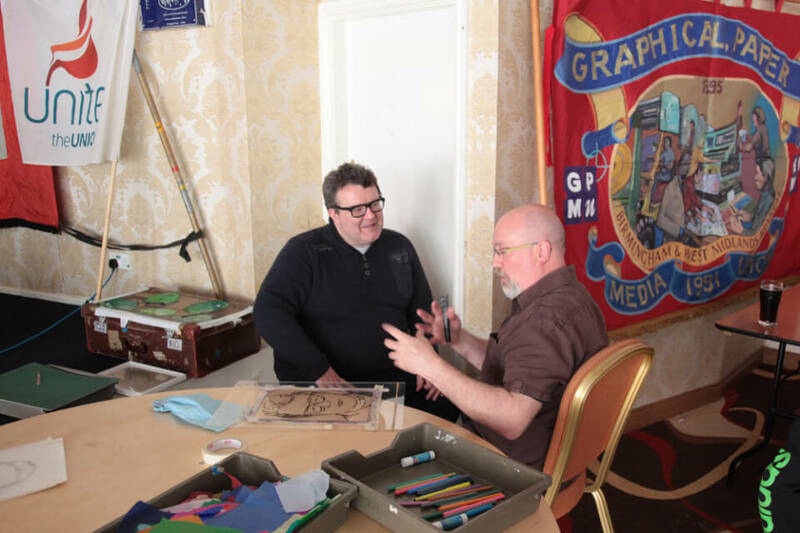 We presented work at the 2014 May Day event with Sandwell Trades Council, even recreating a silkscreen poster from the same event in 1982, with the original artist present and undertaking a self-portrait workshop. 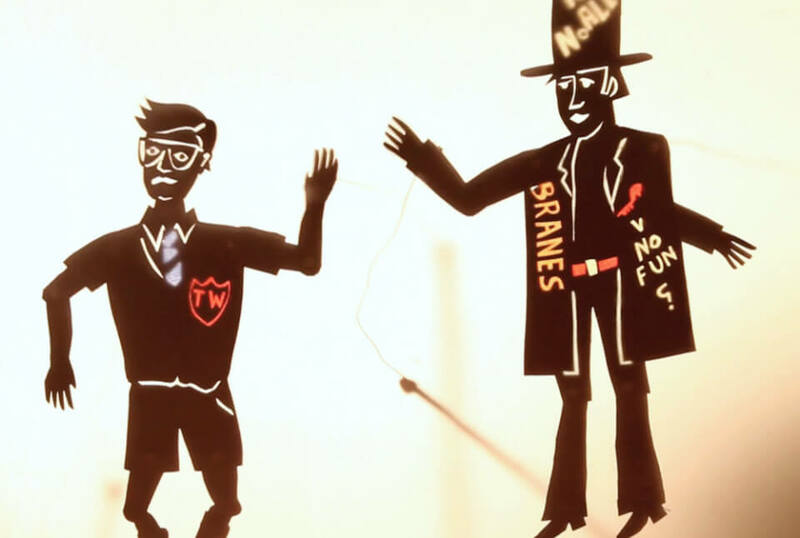 (We also did a traditional shadow puppet show.) 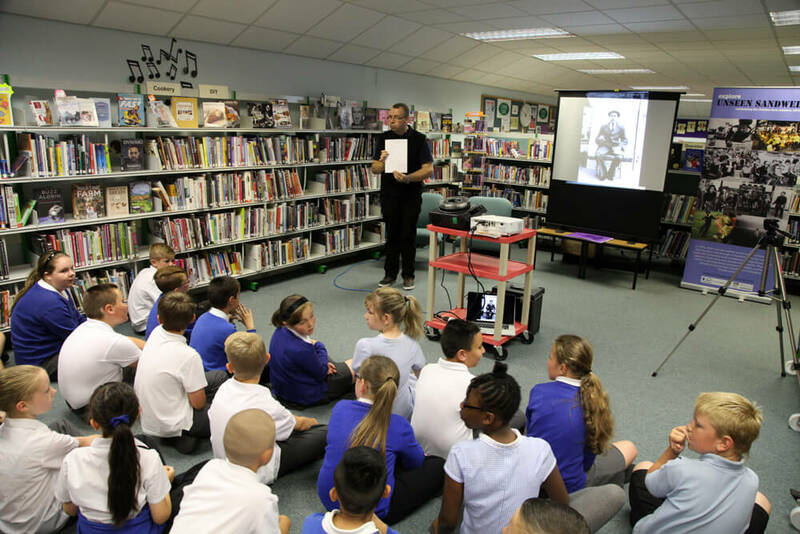 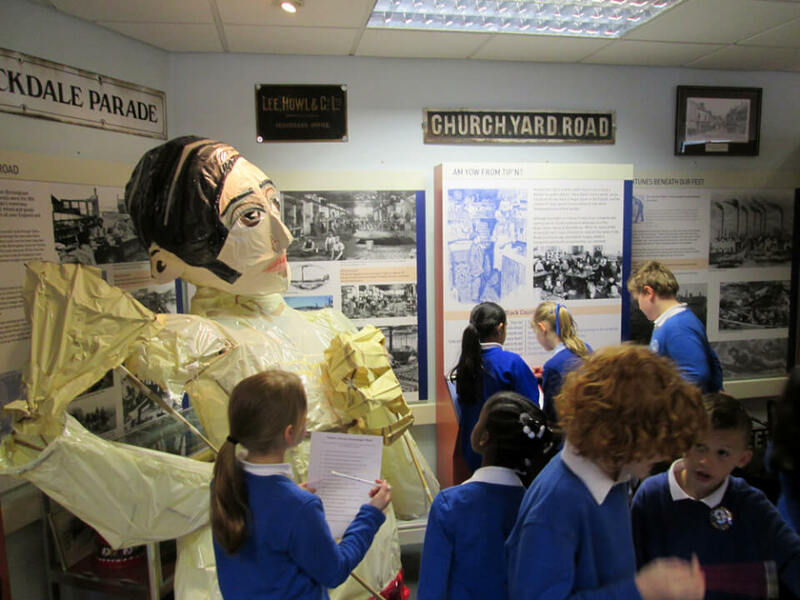 We worked with Tipton Local History Society to create workshops targeted at primary school children, offering an opportunity for them to explore archive and heritage material. (The ancient technology represented by a Kodak Carousel 35 mm slide projections proved a big attraction). 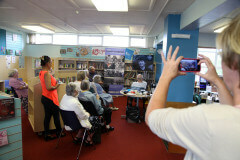 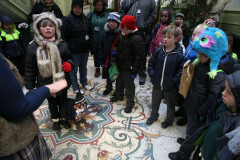 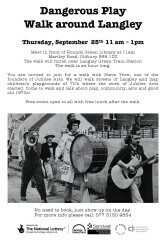 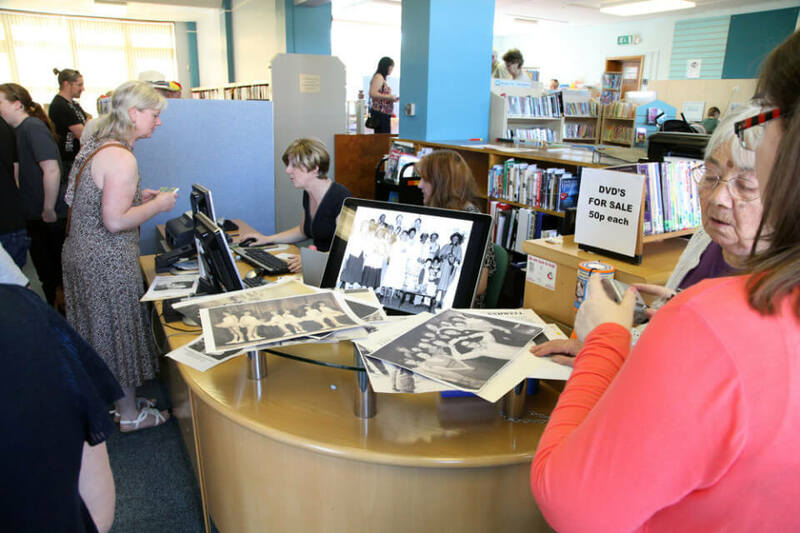 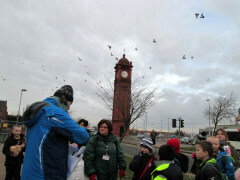 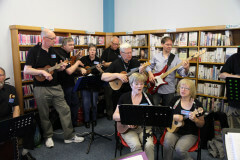 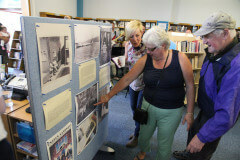 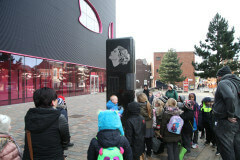 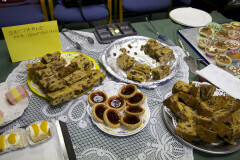 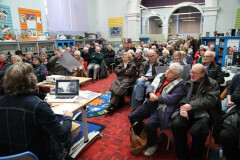 We joined with events at Rounds Green Library, with a little help from a ukelele band, made film and photo presentations in other libraries; we’ve organised exploratory walks along the High Street of West Bromwich, based on archive images, with children and parents from Hall Green Primary. 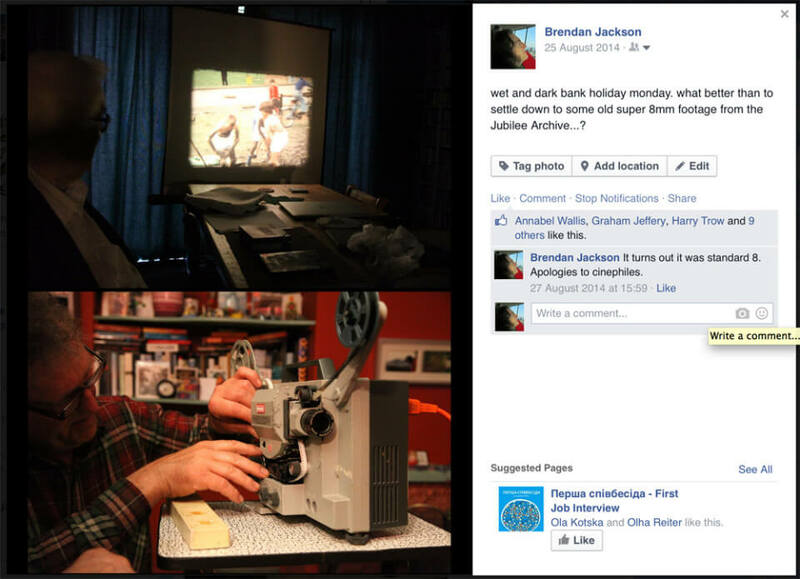 We had help from John Bates, who has a huge collection of film projectors, helping us view the super 8mm footage we unexpectedly found in a box. Brendan Jackson worked with a reminiscence group at Lion Farm, with additional sessions at Oakham Church. 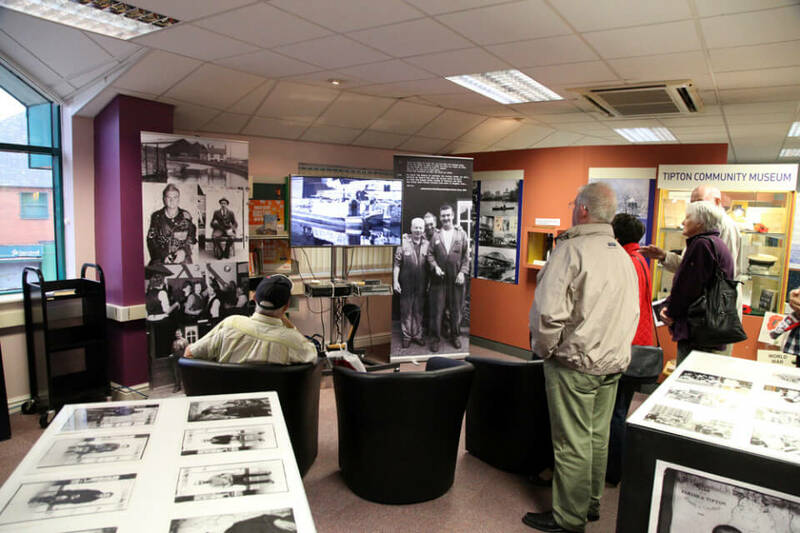 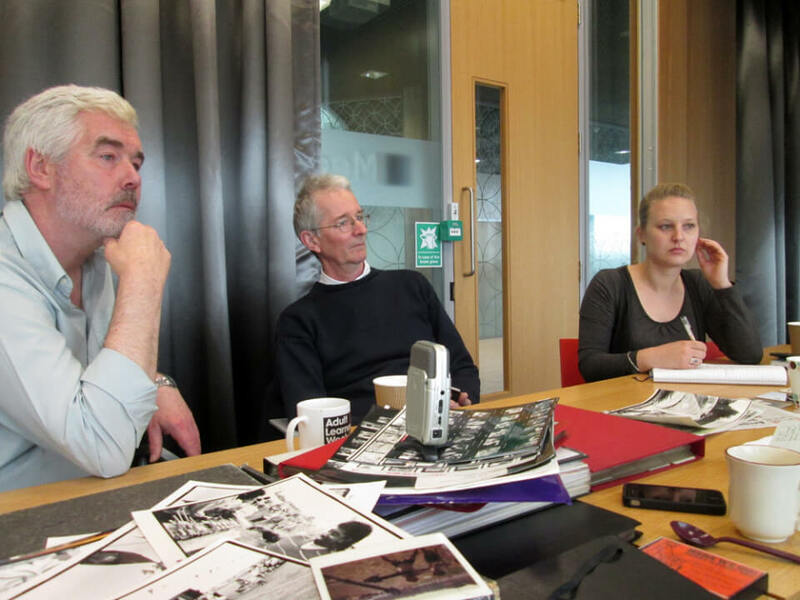 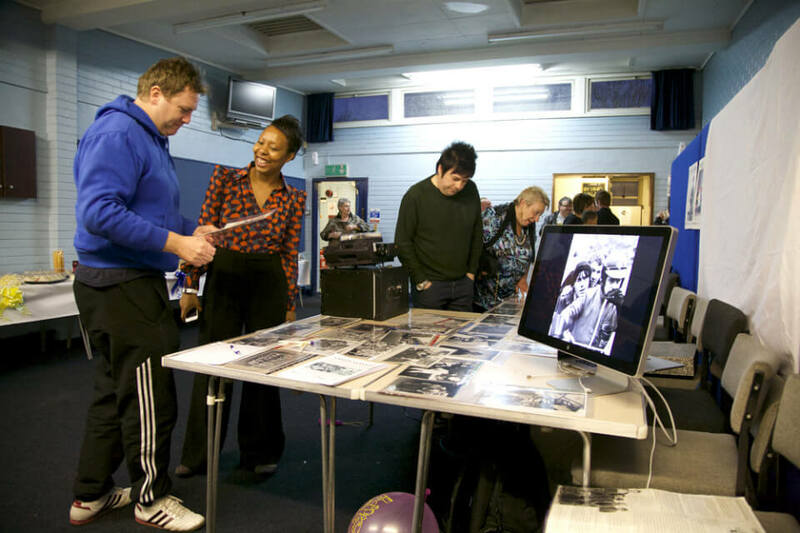 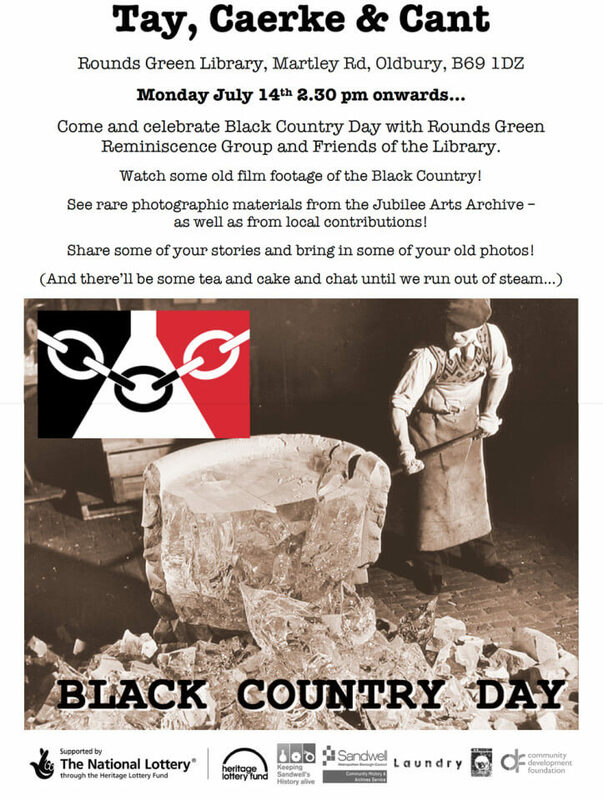 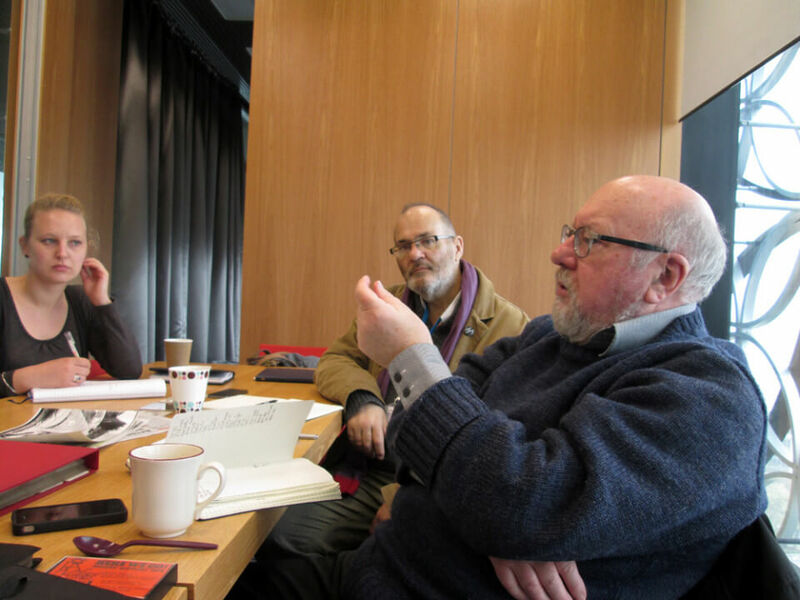 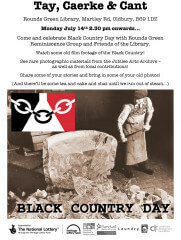 Together they created a pop up oral history exhibition at Rounds Green Library in July for Black Country Day and a follow up exhibition and publication in September. 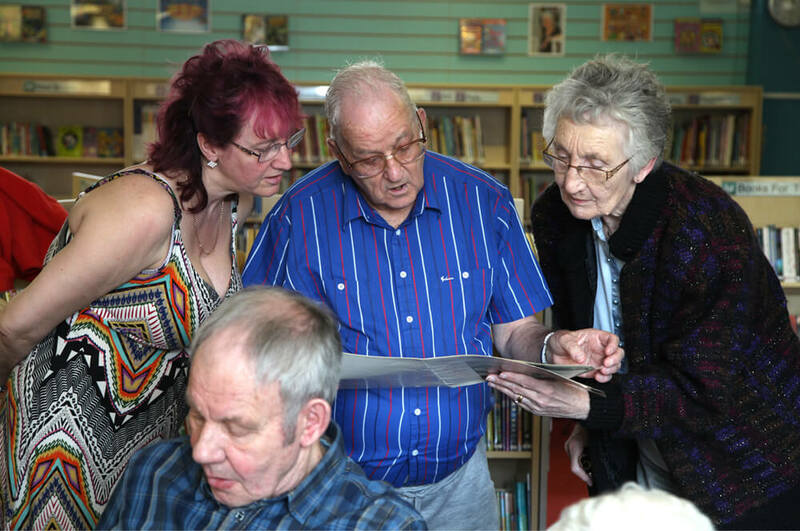 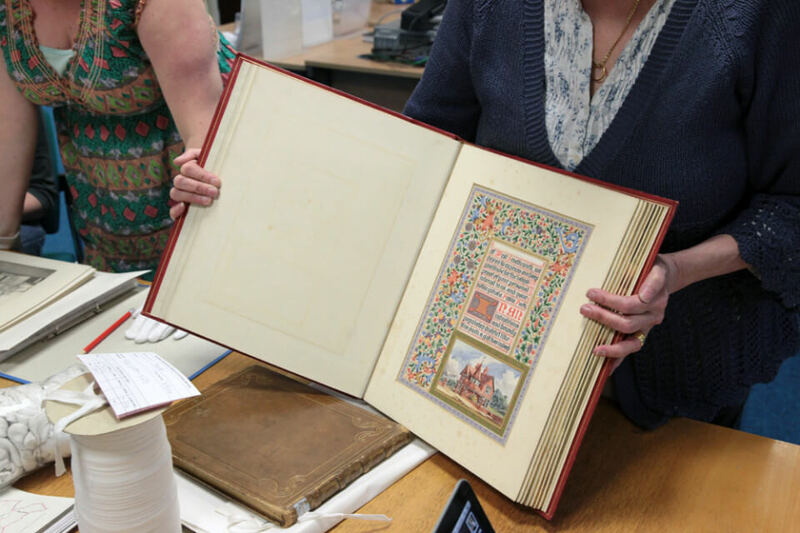 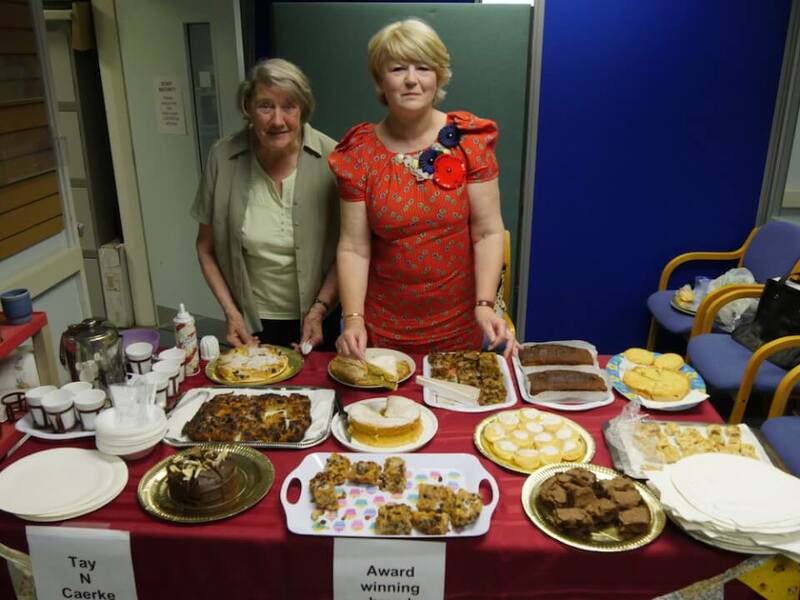 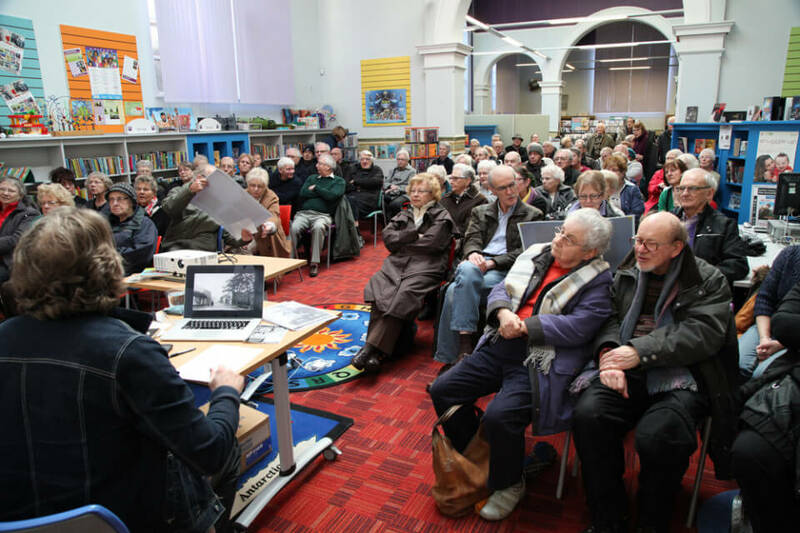 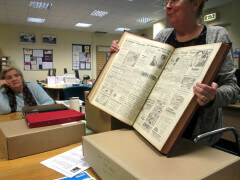 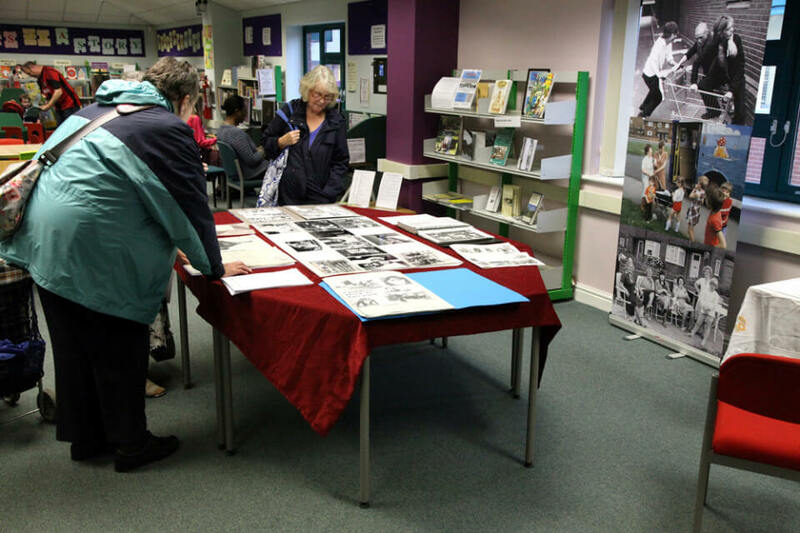 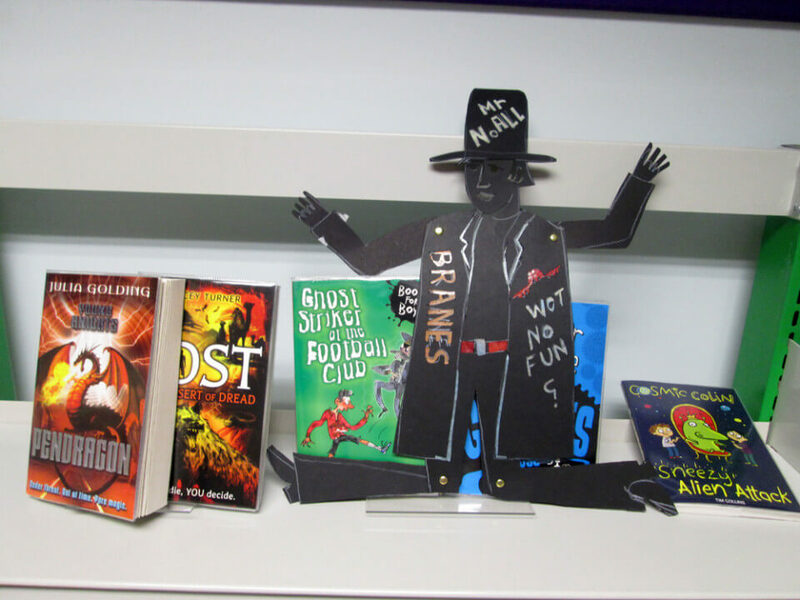 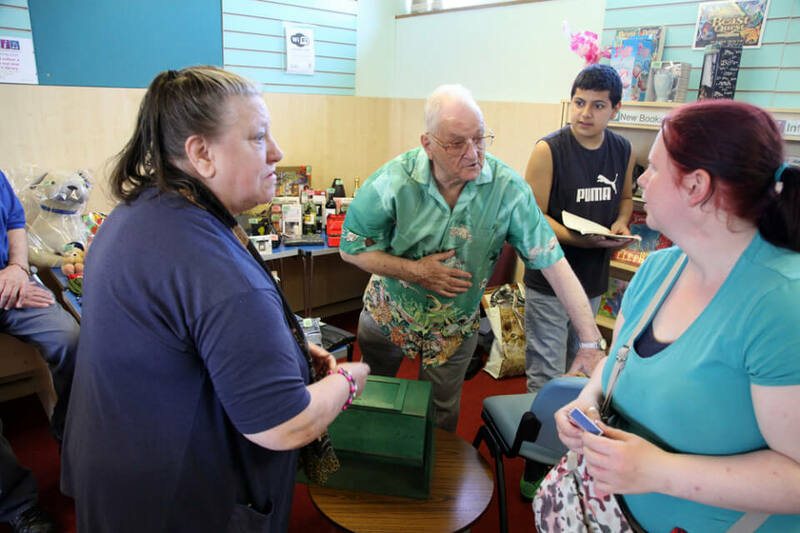 Substantial materials were also gathered for additional pop up events in libraries, particularly in terms of describing the social context of the Black Country and the changes over the past forty years. 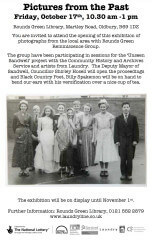 (You’ll find some of these posted on the Black Country section of this site). 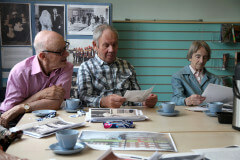 A souvenir newspaper was produced which documented and shared their process. Material was also selected for showing at the Lighthouse Media Centre in Wolverhampton as part of the ‘Black Country Echoes in Pictures’ exhibition – photographs presented as a series of projections on walls. 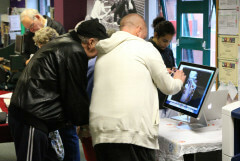 The show in Wolverhampton attracted an audience of 9000 viewers over 3 months, benefiting from the overall publicity of the Festival. 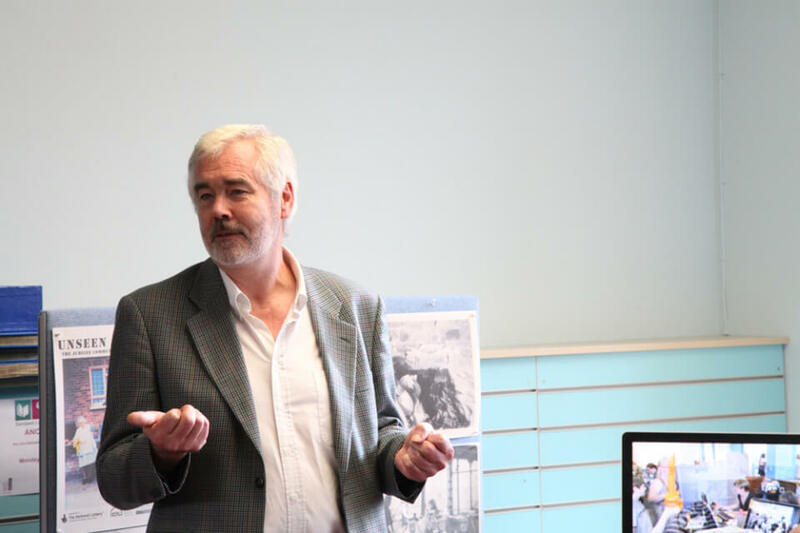 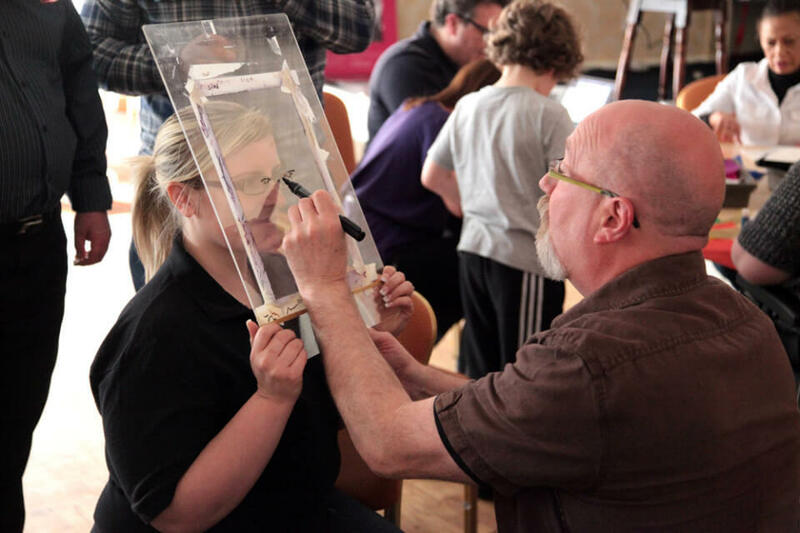 Chris Baldwin worked with staff and new performing arts students at Sandwell College in September and October to share his practice as a Theatre Director of site specific work across Europe and his expertise as a Visiting Professor at Rose Bruford. 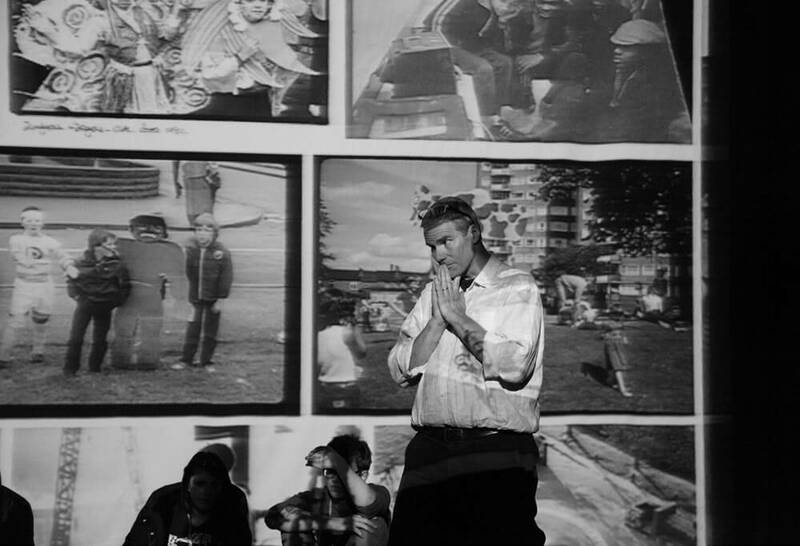 Together they worked on a series of interpretations in response to archive photographs – and decided to make a piece of guerilla street theatre on the High Street. 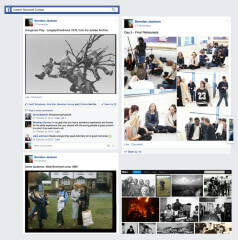 The process was also documented using Facebook and flickr to share with participants. 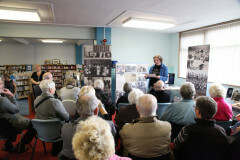 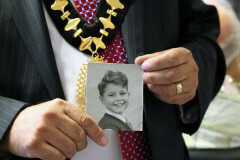 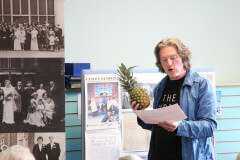 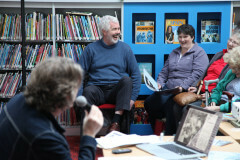 Geoff Broadway worked with groups at Tipton Library and Heritage Centre. 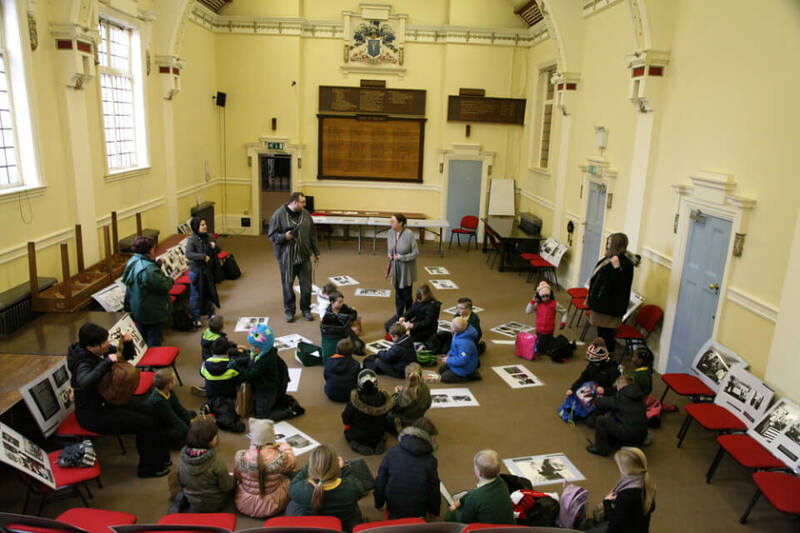 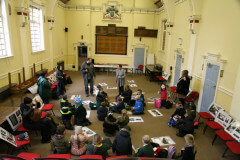 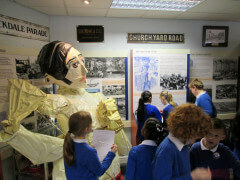 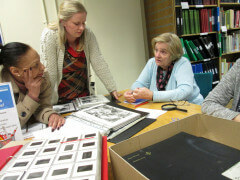 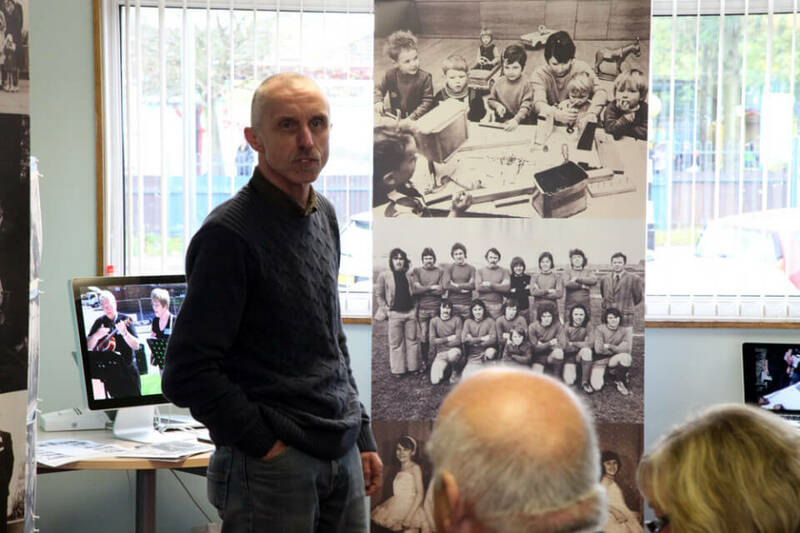 In association with volunteers from Tipton Local History Society, two events were held for primary school groups to explore the archive materials. 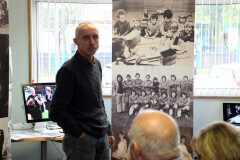 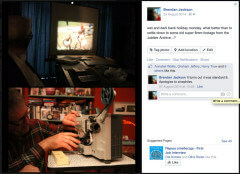 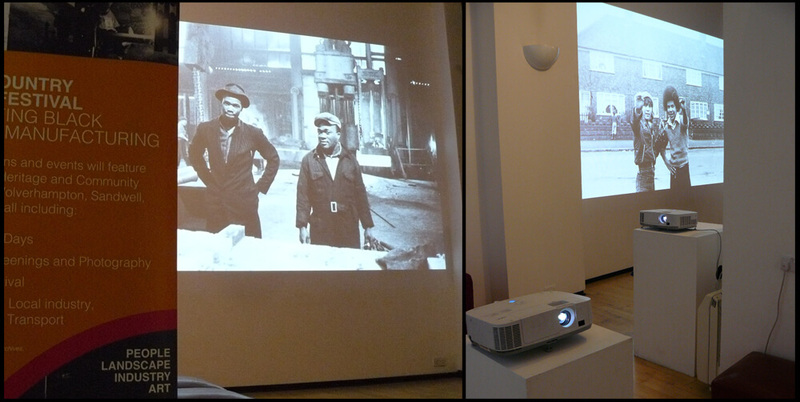 Geoff created a new moving image piece using archive materials, contemporary footage and reflections from local people. 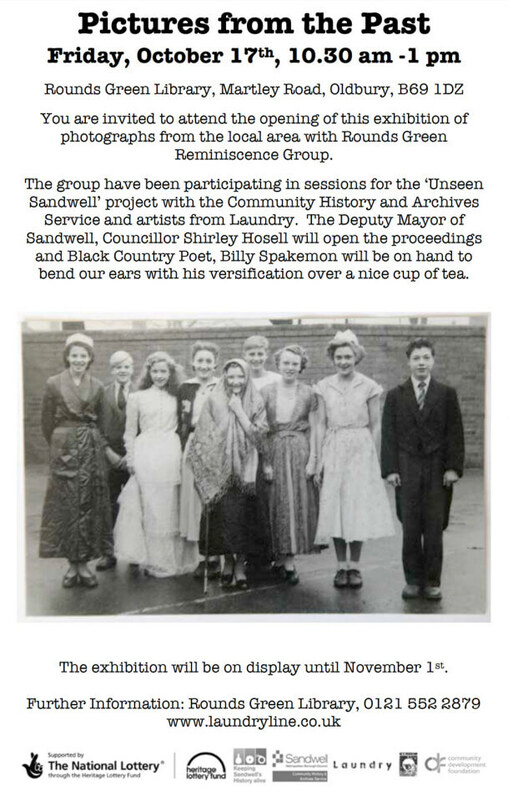 The piece was installed as an integral part of ‘Portraits of Tipton – from the Jubilee Arts Archive’, which was on show throughout September and October 2014 and promoted as part of the Black Country Echoes Festival. 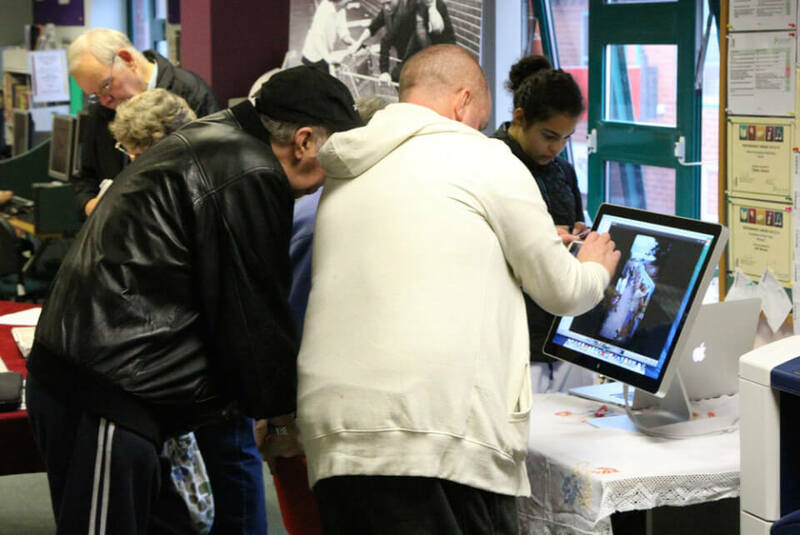 Geoff Broadway and Brendan Jackson also created additional installations and slide shows for pop-up events to link with Tipton Canal Festival. 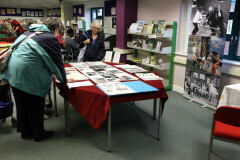 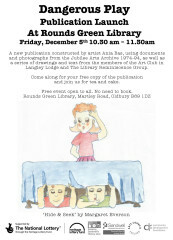 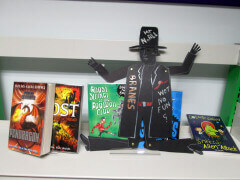 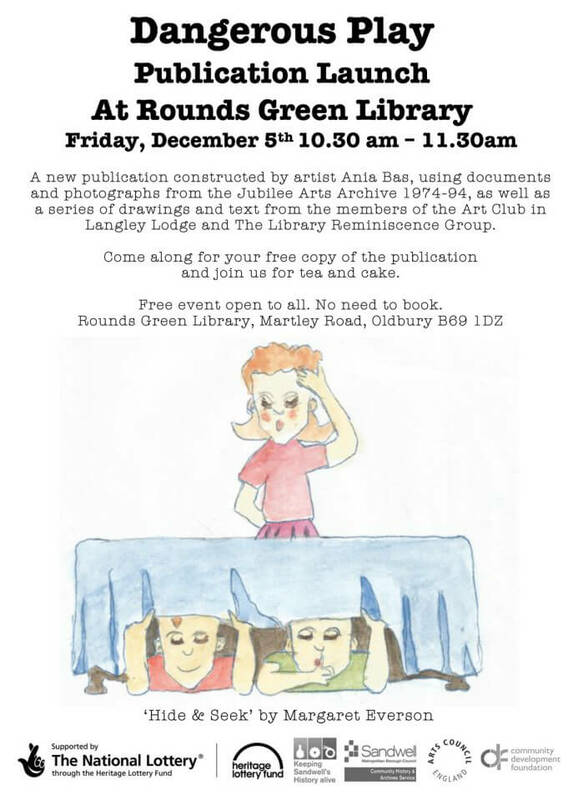 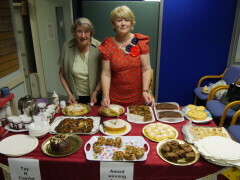 This exhibition proved very popular and was re-installed at Glebefields library for the whole of November. 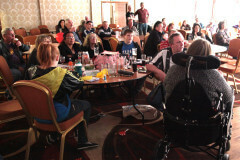 Glebefields reported an increase in visitors during the show – over 1200. 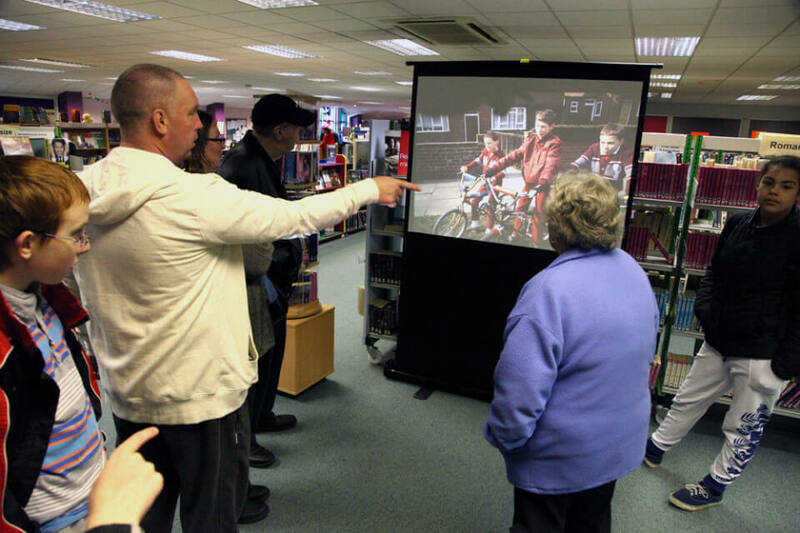 At Tipton, staff recorded 405 visitors to one pop-up event we held there, and an increase of over 700 visitors during the installation. 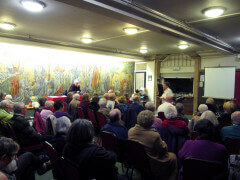 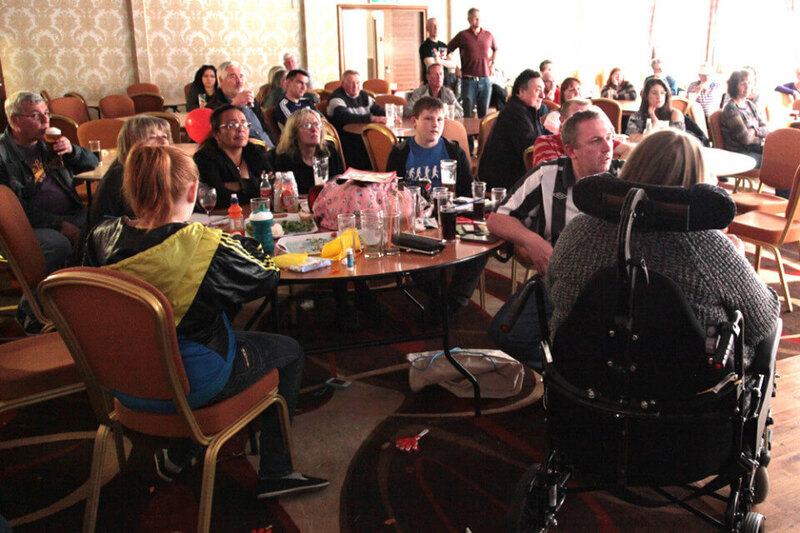 The film was re-edited and shown again a special film night in April 2015. 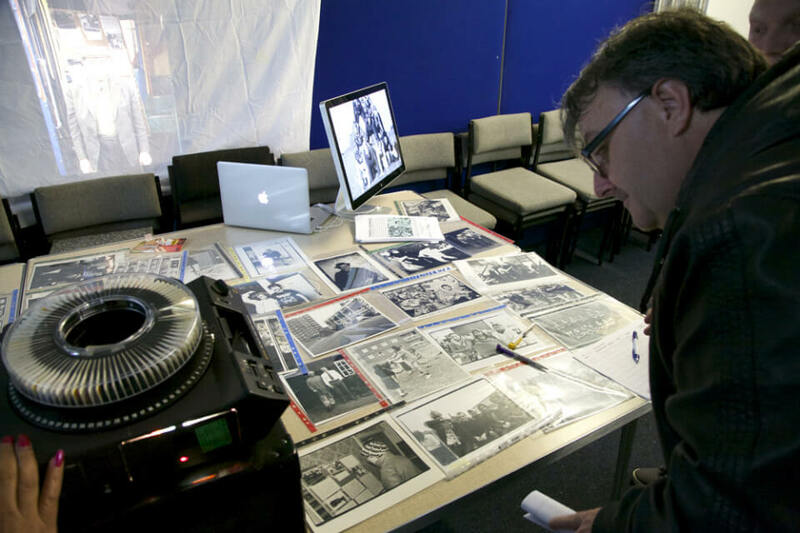 “Working with the archive opened up a lot of timely questions for me. 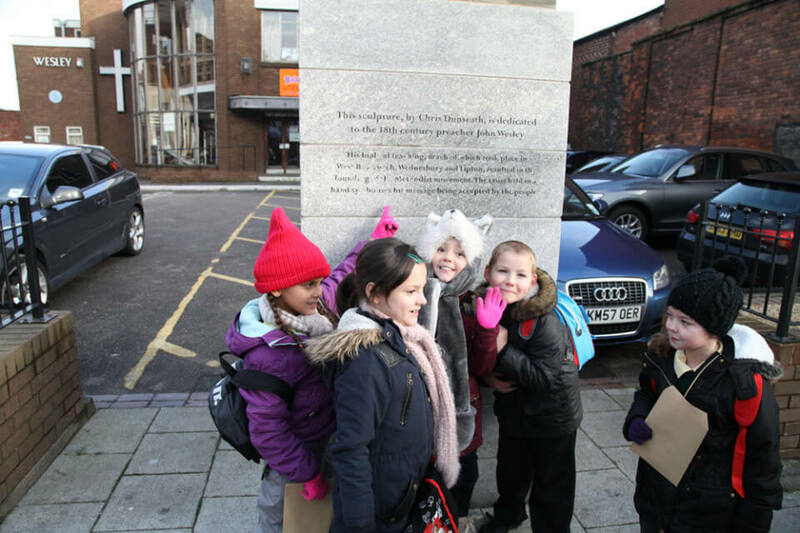 I had a chance to look into strategies of engaging with communities, where work and play with children was a key element of starting conversation and building trust with people. The documents found in the archive combined with visuals of the projects from early years of Jubilee Arts as well as with photographs from personal archives built a wholesome image of long term engagement so different to the expectations these days of rapid results and instant changes. Helen Sweeting worked with a group of adults interested in photography – who had previously undertaken evening classes at Sandwell College. 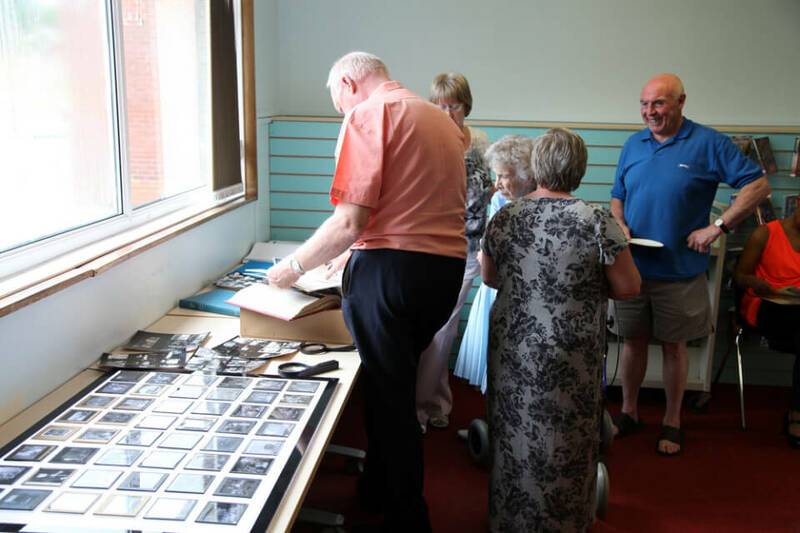 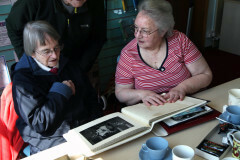 They met on Saturdays at the archives in Smethwick and spent many hours pouring over the negatives, slides and hand-printed photographs. 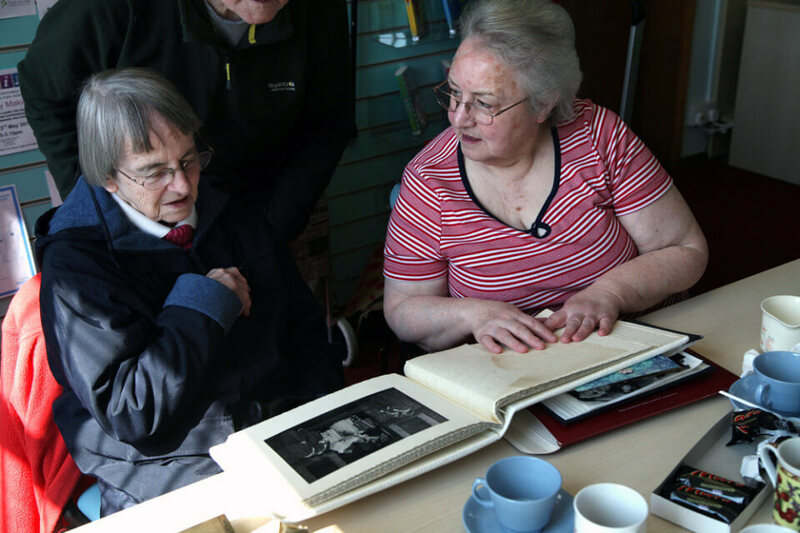 There were detailed scrapbooks of articles and correspondence that were fascinating and full of anecdotes, which helped them contextualise the photographs. In response to the archive materials they created an installation in the library and archive. 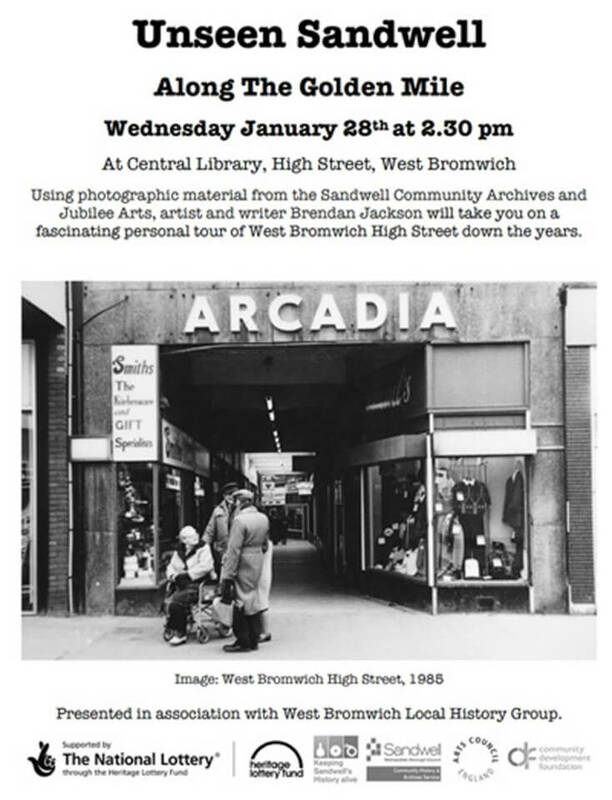 They were drawn towards certain photographs and themes in the work, of protest or play; these either triggered their own memories and personal interests or inspired them to go out to find these places and take contemporary photographs in response to the original materials. 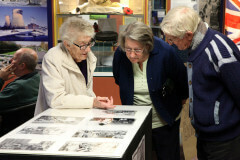 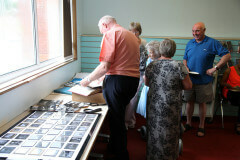 The exhibition ran for a month and included open sessions, with special tours of the archive led by the archivists. 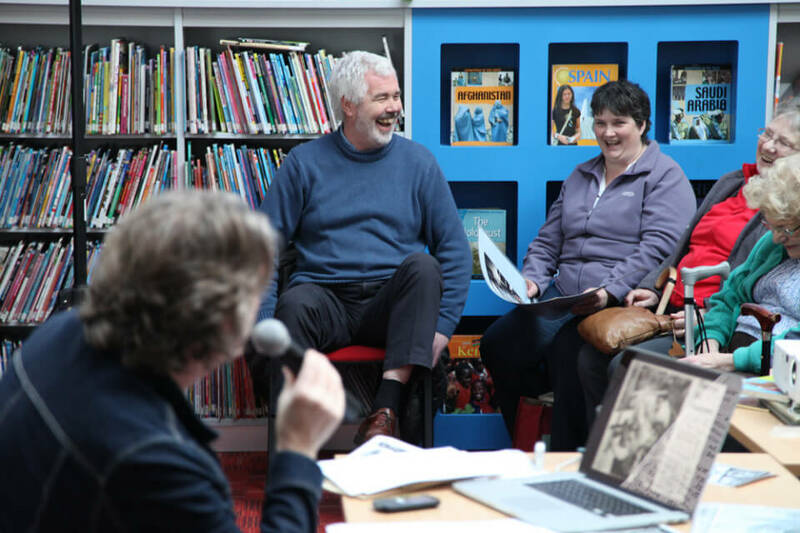 Here’s a bit of phone footage taken by Adam Świtała at an archive event at Rounds Green Library in September 2014, featuring local poet Bill Spakemon, who was invited to give a response to the photographs with a bit of versification. 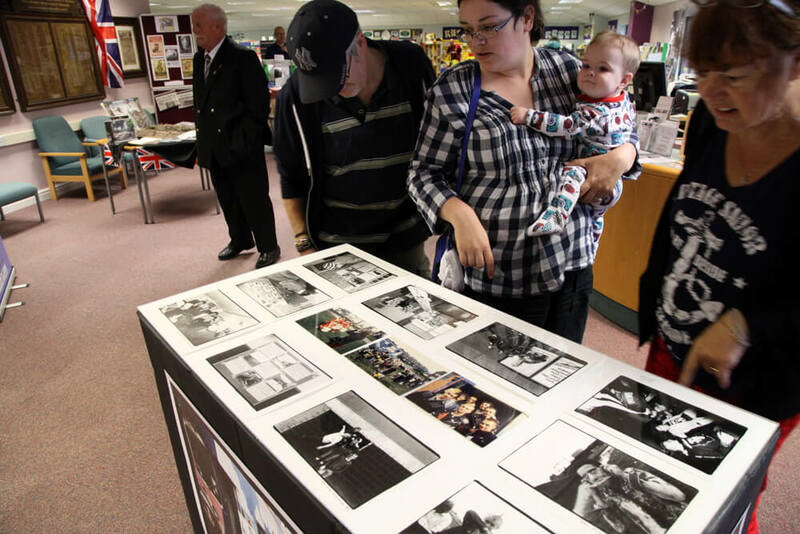 Here’s a bit of footage from the launch of ‘Portraits of Tipton – from the Jubilee Arts Archive at Tipton Library and Hertage Centre in September 2014, which was opened by the Mayor of Sandwell, Derek Rowley.